Is the Franco-Russian friendship being rekindled? The object of celebrations in Moscow by Nicolas Sarkozy during his visit on the 29th of October 2015, is it being resuscitated today by Francois Hollande as a reaction to the events of November the 13? Are France and Russia to move from the coordination of their military co-operation to the reestablishment of a historical alliance? Some hope so, many believe so. Several elements stand out: the coordinated aerial strikes on Raqqa by the French fighter jets (Mirage 2000 and Rafale) and by Kralibr cruise missiles fired by Russian ships in the Caspian attest to an extensive military coordination. 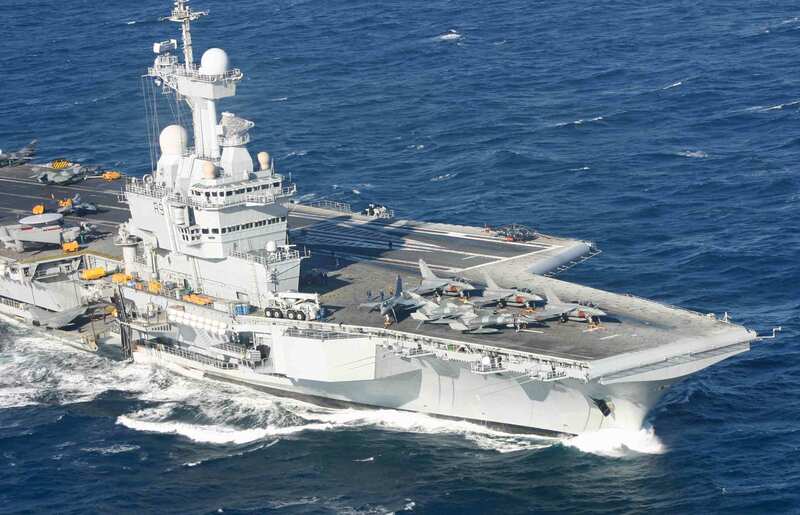 The convergence of Russian and French naval groups in the eastern Mediterranean around the Charles de Gualle aircraft carrier establish the basis for a rapprochement between the rival coalitions on the middle eastern scene. Furthermore during the Vienna negotiations on the Syrian crisis, the Russian and French approaches would also seem to be converging – if the fight against Daesh is the main priority, it is the regime change and the stepping down of Bachar al-Assad that remain debated. A Franco-Russian military campaign would commence and a common diplomatic position would be sketched out. In reality, both countries have just been the victim of the same problem – militarized terrorism in the Sinai province (for Russia) and in the Parisian streets for France. Moreover, these two geopolitical heavyweights have the military and diplomatic capabilities to put an end to the competition between coalitions in Syria, and to impose a solution to the crisis to all the Vienna participants as well as creating a united front against terrorism and solving the root causes to the European migration crises. Some see in these latest events a major strategic change: on the Russian side, for at least a decade, the authorities have always highlighted the fact that France and Russia have the same strategic interests since they have the same enemies – islamist terrorists. On the French side, more and more political leaders are calling for a rapprochement with Russia. For some it is a necessary danger that has been precipitated by the November attacks and that requires a united front against immediate dangers as well as welcoming back a major trading partner. For others, it is in fact a general reorientation of France’s foreign policy (detaching itself from Nato and the US in order to lead a continental foreign policy, based on realism and the historic interests of France with regards to its eastern and southern neighbours). In any case, the French authorities are being converted to realpolitik by converting to a Franco-Russian friendship. The strength of the terrorist threat, the magnitude of the migration crisis and the urgency of military action are conspiring to stamp out the recent diverging views between France and Russia, namely: the annexation of Crimean the destabilization of Donbass, the cycle of European sanctions and retaliation by the Russians and the cancellation of the Mistral contracts etc. everything points to the creation of a Paris-Moscow axis to which Berlin will have to rally soon, given its economic ties with Russia. In short, the Franco-Russian relations, somewhat unclear by passing political squabbles would find in the Syrian battlefield their historical centre of gravity (1901 and celebrated by the General De Gaulle), that is to say, an alliance of very different (and thus complementary) states fused together by common geostrategic interests that are considerably different from those of Nato. Thanks to the rapprochement between Paris and Moscow, France seems able to reestablish a bridge between the USA and Russia, between Iran and Sunni monarchies and between European democracies and authoritarian regimes in the Middle East. These perspectives are trendy today: in Moscow, they offer the possibility to the Russian authorities of being correct before everyone else on the prioritization of the fight against Daesh vs the regime change. This gain will be a major step forward to allow Moscow to step in from the cold. In Paris, they offer a certain vigor to the French reaction to the attacks of the 13th November and cut short any criticism from the right of Francois Hollande’s supposed lax attitude. In summary, global strategic considerations and local tactical after-thoughts are united. However, this Franco-Russian reconciliation is at risk of rapidly finding out its own limitations. The two countries neither have the same understanding of the Syrian consequences nor the same structural interests in the region, nor even the same strategic objectives. In Syria, once Daesh has been militarily defeated, the questions on which Moscow and Paris differ shall once again surface. For Paris, the Syrian crisis stems from a civil war that was the result of the “Arab Spring” – only a regime change and a democratic transition will do. The terrorist networks are the derived product of tyranny. For Moscow, the Syrian crisis is the consequence of an insurrection orchestrated by Sunni powers via jihadist movements that became uncontrollable. What is at stake is the protection of Russian military bases in the region and the expansion of Iranian power. Consequently, maintaining the alaouite pro-Russian and pro-shiite power is acceptable. France and Russia neither have the same way of reading the conflict nor the same objectives. Furthermore, the coordination of French and Russian forces will be necessarily limited by the lack of convergence of military standards and procedures (Russia does not adhere to Nato standards). In the region, the alliance system of both France and Russia are not only different but in fact rivals: Russia wants to use the reemergence of Iran and the constitution of a Shiite axis (Syria, Lebanon, Yemen and in the north-eastern provinces of Saudi Arabia) in order to block their Sunni geopolitical adversaries (Saudi Arabian, Gulf monarchies, UAE, Turkey). France on the other hand intends to build a network of Sunni alliances through their mutual distrust of Iran – for gas, oil supplies as well as for cultural and commercial ventures. Outside of the middle east, the strategic Franco-Russian partnership will find its limitations the moment when the Ukrainian crisis will experience a new development: Moscow’s interest lies in creating a “frozen conflict” in the Donbass region in order to durably weaken the Ukrainian government and block and extension of Nato and the UE. Paris and Berlin on the other hand are propping up the government in Kiev and the oriental partnership, in order to have a cohesive approach with Poland and the Baltic states. In the case of a new oriental crisis, the Paris-Moscow axis shall be rapidly eclipsed by the Weimar triangle (Paris-Berlin-Warsaw). A very interesting read. How do you read the shooting down of the Russian bomber by Turkey? Is it merely to hint at Russia not to bomb oil supplies from DAESH (facilitated by parts of the Turkish state) or also to drive a wedge between NATO (read: France) and Russia?